The Geneva Graduate School of Governance (GGSG) was founded six years ago by a group of mostly European and American senior scholars, some of whom had formerly held prominent national or international political, administrative or academic positions (Deputy – or Assistant – Secretaries General of the United Nations, Cabinet Minister, Ambassadors, University Leaders, Elected Chairs of International Social Science Associations). Its teaching philosophy gives pride of place to practice and action, mastery of complexity, multidisciplinary approaches, prompt sizing-up of situations, acquisition of leadership and communication skills – all in the service of imparting state-of- the-art knowledge on subjects of high pertinence in today’s and tomorrow’s world. Its elite status was recognized when its doctoral Programme was recently approved by the U.S. Department of Veterans A airs. GGSG could not dream of a more perfect match than GRMI when it comes to institutional partnerships. Among other hallmark features – unique faculty, academic excellence, topical relevance, innovative methods, etc. 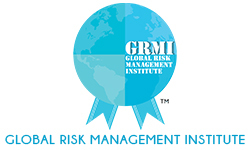 – both schools share the same central interest in risk management. Yet, their emphases di er : while GRMI concentrates on business/ economic risk, GGSG also covers physical (natural, industrial, public health, and security) hazards. So that they are complementary, and their association guarantees students a comprehensive grasp of that important theme for action. GGSG will be happy to accommodate the needs of GRMI students who, upon completion of their Post-Graduate Certificate in Risk Management, will wish to take advantage of the possibility now o ered, as part of an Optional Programme Complement on Physical Risks, to earn GGSG’s Master’s degree in Risk Management following either online further training supplemented by three weeks of contact hours in Geneva, or three full months of additional tuition on the shores of Lake Leman – one of the world’s diplomatic hubs. There is ample reason to rejoice, as we at GGSG certainly do, at the synergies put in place by a collaboration spanning continents, and the kind of international educational experience thus o ered to able, forward-looking students with global careers in risk management on their minds.